MiFi 2352 Personal 3G / Wifi Hotspot Video Demo. As always, respect to Mobilx for shipping the retail Mifi 2352 over in super-quick time. Their stock came in yesterday and I’m sitting here, 24 hours later, with one in my hand/pocket/rucksack. More images in the gallery here. I’ll be heading out for a camping weekend in Holland in a few hours (yes, the Mifi is coming too) so I don’t have time to write too much at this stage but yes, it’s working as expected and I still think it’s the mobile computing device of the year. I need to do some testing on battery life and reception quality and that will come next week. In the meantime, enjoy this overview unboxing and demo video. You’ll also see the built-in Micro-SD card slot in use. Affiliate advertising. Click for info. If the ‘HQ’ button is available on the player above I recommend clicking it for higher quality playback. The unlocked Mifi 2352 is now available for 220 Euro (inclusive EU taxes) from Mobilx.eu. (Direct link) I’m not aware of any other resellers that have it yet but if you know of someone else selling it, let us know and we’ll happily add the details here. Update: Expansys are listing it. We’re happy to say that Mobilx is a long-term and trusted affiliate of ours. You can support UMPCPortal by buying your MiFi through the affiliate advertising. Expansys in the UK are listing the mifi as coming soon (read what you will into the “estimated 9 days” on their website). Really neat idea, but rather pricey IMO. I’m very interested in hearing how this goes. I’m really wanting a Mifi :-} But I’ve been hoping for an AT&T version … but, so far, no US GSM/UMTS version (AT&T nor T-Mobile) of the Mifi has been released. My MIFI is on its way to Hong Kong from Mobilx. It is somewhat expensive. But considering the sum I’ve paid on all the built-in HSDPA modules of my UMPC/MID, I reckon that it is worthy of the price. 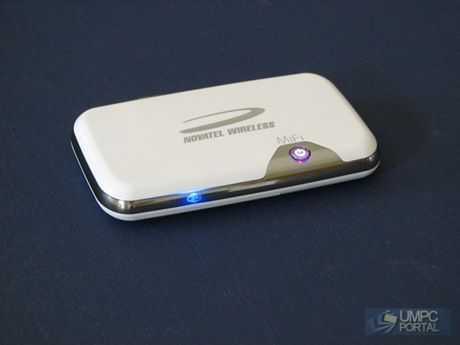 http://tinyurl.com/l8yvmn Mifi is a great idea to solve multiple mobile devices internet needs. No more PAN tweakings. At level 220 you can can get a nice Nokia E63 as a personal wi-fi)))))))!!!!! Last I checked, Joikuspot doesn’t do infrastructure mode wifi, and at best I think it does WEP, but even that I’m not sure about. Mifi does infrastructure mode and WPA. So, if you care about the quality of the wifi, Joikuspot is nice, but it’s not enough. Be sure WEP is ok with Joikuspot. sitting here in Vienna with my newly ordered mifi 2352 which just arrived via hungary. hate to bother you guys but i am not sure now how to proceed. what sim card can i use. there is no telefonica service in austria and no other provider for the mifi service. should i just insert a sim card from one of my phones? do i need a 3 (or more)gb plan to avoid major roamng costs because of the 3g net? or can i surf for free as it is w-lan? can i use prepaid card for the usb sticks for mobile internet? Connects to Rogers (Canada) GPRS/EDGE, but no HSDPA, which is darn peculiar, since as soon as I take the SIM card out and put it back in the Novatel Ovation MC950D “stick modem,” I have no problem at all getting HSDPA/HSUPA speeds. Does anyone have any ideas ? As far as I know, the European GSM model doesn’t do US/Canadian 3G, just European. But I could be wrong. So, if you bought the European GSM model, then that would explain why you’re getting GPRS/EDGE only. I think I’ve found the answer. Rogers uses 1900 for 3G voice, and 850 for 3G data, so it looks like the 2352 is *not* compatible. This is in spite of chats with Mobilx, where they assured me it would work. Support ticket in the works, but sure looks like I’m out of luck until the 2372 comes out. Argh ! Doesn’t appear to support AT&T/NAM 3G, nor T-Mobile-USA 3G. Therefore the “around the world” part doesn’t appear to be true. Its world support appears to be limited to GRPS/EDGE, not 3G. MiFi 2372 is optimized for American markets with 850/1900 MHz American 3G frequencies and 2100 MHz EU. There will be a version support 1700 MHz 3G for T-Mobile USA. Is the 2372 actually available anywhere? I saw the announcements back in July, but I haven’t seen anywhere that you can actually buy it (locked&branded or not). Has anyone actually used the 2352 with AT&T and gotten 3G to work? A T-Mobile one would be nice, but their 3G only covers half of my area (San Jose and Santa Cruz, California … they cover San Jose, but not Santa Cruz). Fine for my phone service, but not for a data only account like I would have on a mifi. We sold quite a few MiFi 2352 for ATT subscribers in the USA. MiFi 2372 appeared in stock at Expansys USA for a short time (now out of stock). We are considering ordering 2372, but cannot estimate the demand for now. Gracias amigo, te importaria si pongo en mi blog esta nota tambien? te agradezco! « Viliv X70 EX Special Offers at Dynamism. July 6th.